Who are the contenders for secretary of state? Donald Trump has yet to nominate an individual to lead the State Department -- and the pitch to be the highest-ranking Cabinet member has become public for some. CBS News has reported that one of the top contenders is Rudy Giuliani, the former New York City mayor, but other possible picks include 2012 Republican presidential nominee Mitt Romney, former CIA Director David Petraeus, and Tennessee Sen. Bob Corker, among others. 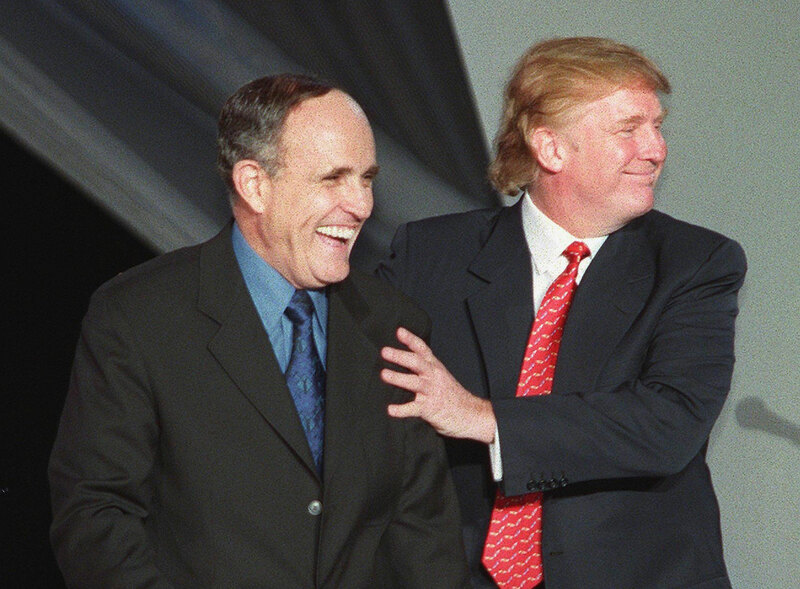 Rudy Giuliani: The Trump ally has made a public case for his appointment, arguing that his private sector experience makes him a strong candidate. He told the Journal that he had visited as many as 80 foreign countries since leaving public office and taken 150 foreign trips. He has spent the last several years consulting on security issues around the world for a firm he founded, Giuliani Partners, and he also chaired the cyber security and crisis management practice at Greenberg Traurig, a major multinational lobbying law firm. Some of Giuliani’s business ties to foreign governments and companies would likely be scrutinized during Senate confirmation. The ex-mayor, 72, was also a federal prosecutor in the Reagan administration. “I think you want the chief diplomat to be diplomatic,” said Paul, who has claimed he would vote against confirming Giuliani in the Senate if Mr. Trump nominated him. Mitt Romney: The former GOP presidential nominee has a history of clashing with the president-elect. Romney refused to endorse Mr. Trump during the Republican primary cycle, even actively and openly blasting the real estate mogul for his controversial rhetoric and policy stances. Trump has also fired back against Romney, calling him a “lightweight losing candidate” on Facebook and dubbing him “one of the dumbest and worst candidates in the history of Republican politics” in a tweet. But the two had a lengthy meeting at Bedminster which impressed Mr. Trump, and put him into “active and serious consideration” for secretary of state. Kellyanne Conway, a senior transition team adviser and Mr. Trump’s former campaign manager, weighed in over the Thanksgiving holiday about the possibility of Romney as chief diplomat, cautioning that the president-elect’s supporters would not appreciate the choice. One source told CBS News’ Arden Farhi that he had received text messages from donors and allies who have warned against choosing Romney because he had been “throwing spears from the stand” during the election cycle. David Petraeus: The president-elect has been giving serious consideration to Petraeus, whose resume includes his leadership of Central Command, his time as a retired Army general, and a stint as the former CIA director (a post he later resigned because of a scandal involving an extramarital affair and the improper handling of classified information, for which he was given two years probation and fined $100,000). Petraeus’ military background could fall in line with Mr. Trump’s promise to beef up American military strength abroad, and he has even called for a reexamination of restrictive U.S. rules of engagement when it comes to precision airstrikes. Petraeus has also cautioned against putting boots on the ground with Iraqi forces when it comes to the fight against ISIS. “I would not, for example, embed U.S. personnel at the Iraqi battalion level, nor would I support clearance operations before a viable force is available,” he said in an interview with “CBS This Morning” last year. Bob Corker: The Tennessee senator, a Republican, is another possible candidate -- he currently chairs the Senate’s Foreign Relations Committee, where he led the Senate fight against President Obama’s Iran nuclear deal. Corker, who served on Mr. Trump’s national security advisory committee during the campaign cycle, has also disagreed at times with the president-elect. Corker was a key player in the 2013 comprehensive immigration bill that passed in the Senate, where he authored an amendment pushing for a border security surge. The overall legislative package has been unpopular with Mr. Trump’s supporters. Corker was also on Mr. Trump’s shortlist to become vice president. Marine Gen. John Kelly (ret), the former head of the Southern Command, met with Mr. Trump on Sunday, and as mentioned, he was among the names Priebus brought up on Sunday. Kelly served for 45 years in the military and is widely respected. He is credited with helping wipe out al Qaeda in western Iraq, and he also served as a military adviser to Robert Gates when he was defense secretary. Kelly has opposed Mr. Obama on several fronts, including his efforts to close the Guantanamo Bay detention facility. He has also scoffed at the idea that a Senate report on the CIA’s use of torture on detainees meant that the U.S. had lost the high moral ground on human rights -- it was “foolishness,” he told the Washington Post. Editor’s note: An earlier version of this article misstated how Sen. Bob Corker voted regarding the Iran nuclear deal. He voted against the deal.